Jim Golding – President, Geneva Rock Products - Clyde Companies Inc.Jim Golding – President, Geneva Rock Products - Clyde Companies Inc.
As President and Chief Executive Officer, Jim Golding leads all teams, divisions and operations. Since joining the company in 1984, his extensive history as Executive Vice President, Chief Operations Officer, Vice President of Construction, and Civil Engineer qualify him to steer this multimillion-dollar organization with a workforce of more than 1,000 employees. With nearly 38 years of experience in the construction industry, Jim brings to Geneva Rock Products an affinity for quality work and premium service. He works hard to instill the same values throughout the organization. 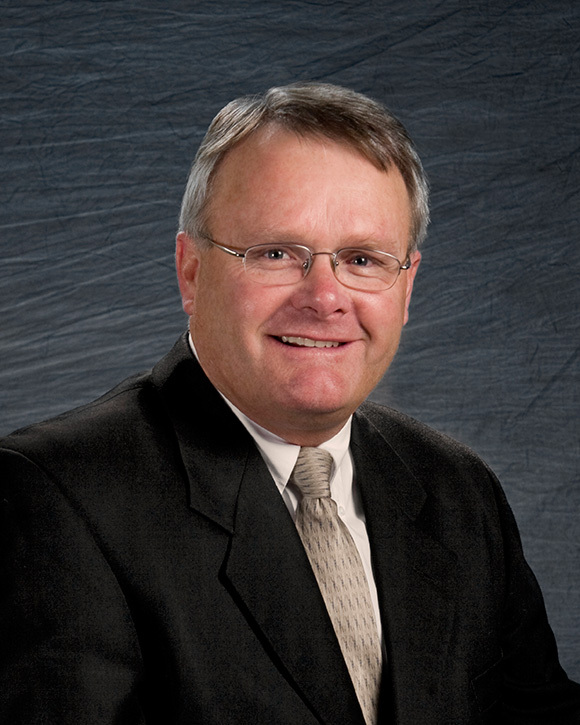 Jim earned a bachelor’s degree in Civil Engineering from Brigham Young University. He maintains certification as a Professional Civil Engineer in the state of Utah and has provided over 31 years of service to the Boy Scouts of America organization. An avid outdoorsman, Jim especially enjoyed surfing and sailing while growing up in Southern California; once piloting a 40-foot sailboat to Hawaii. He has since replaced that love with a fondness for skiing and backpacking in Utah. He and his wife, Kristi, have six children and seven grandchildren.